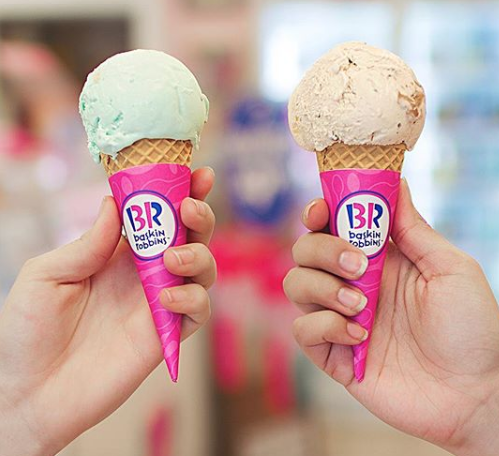 Enjoy a FREE Regular Scoop of Ice Cream at Baskin Robbins when you download their mobile app! Just create an account and check the “deals” section for the coupon. No purchase is required. Keep in mind that you’ll have 15 minutes to use the coupon once you’ve clicked “redeem”, so wait until you are there to click that button. Excludes waffle cones and toppings.